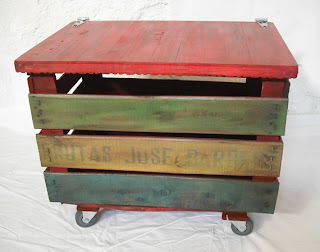 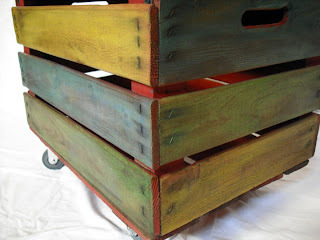 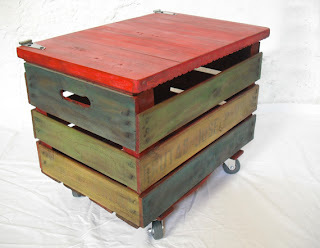 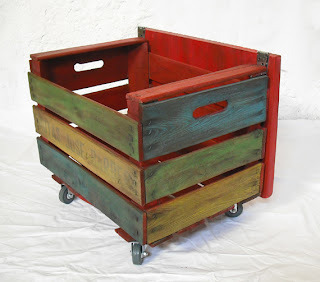 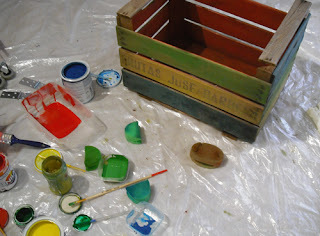 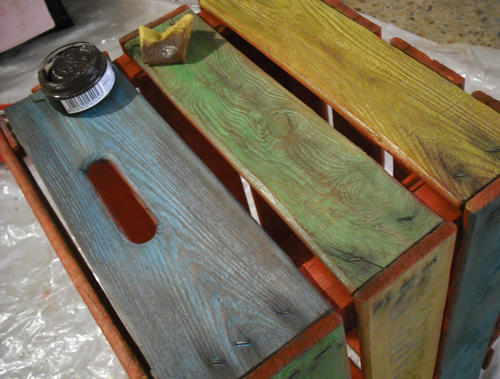 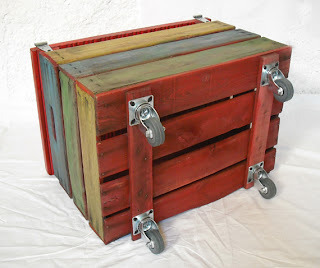 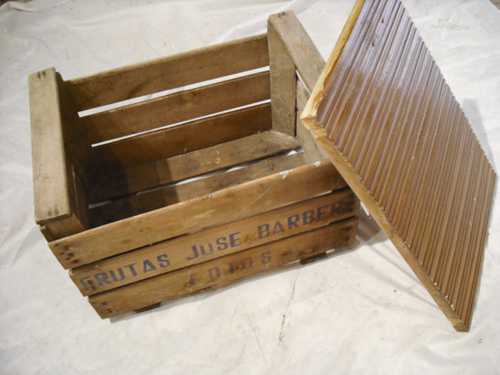 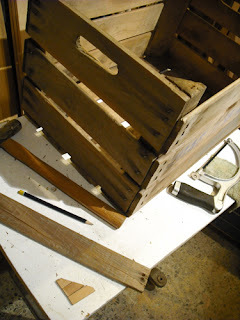 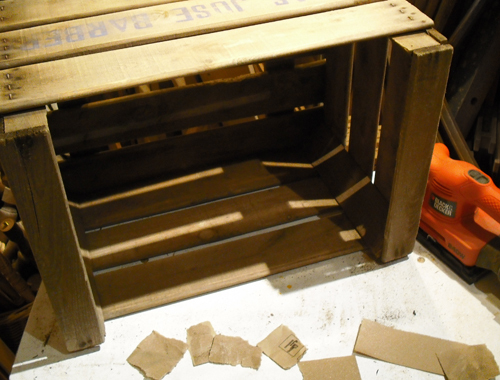 Like many other people, I also love those old wooden fruit crates that are now so in vogue. 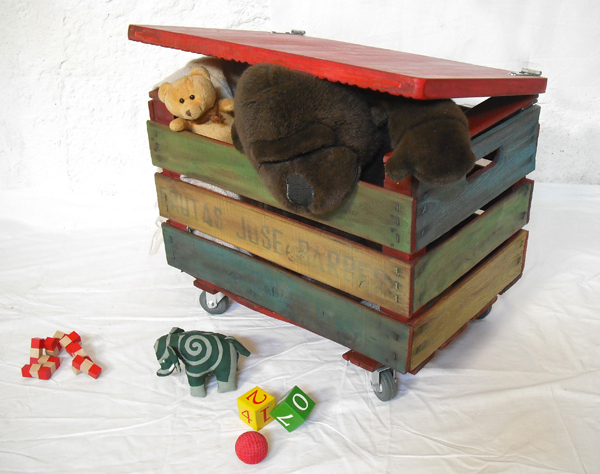 So even though the one I got my hands into had suffered quite a lot and its wood was dirty and darkened, I decided to give it a second, more joyful chance to be useful -and transformed it into a toy chest! 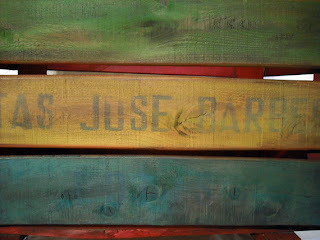 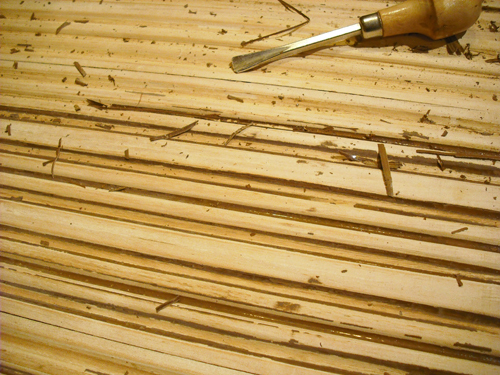 I couldn't leave the wood as it was, all dark and gloomy, but I didn't want to 'lose' the printed letters underneath several coats of paint either, so the solution came by staining the surfaces. 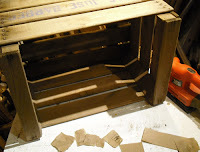 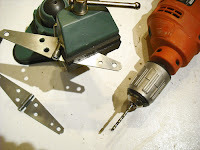 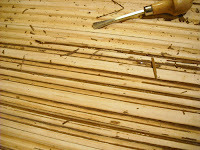 Then, to keep the 'old', rustic look, I applied a dark tinted wax that also left a satin shine with a smooth, nice touch. 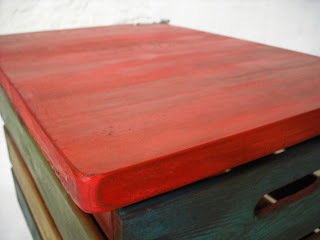 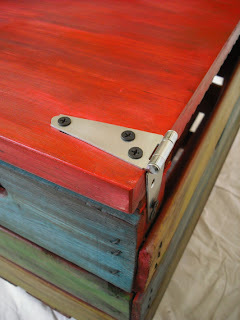 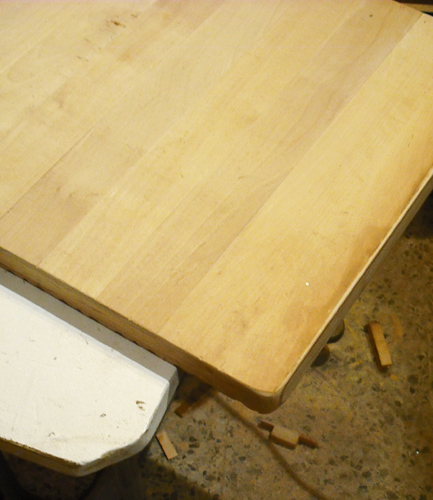 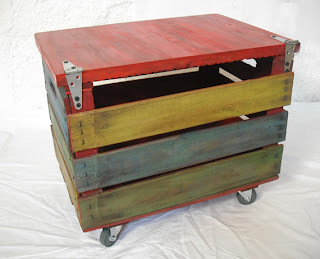 I added four casters, and also adapted an old working cabinet door from the early 20th century to serve as a lid, leaving its rugged side underneath so the top of the chest would stay flat and could serve as a table for the kids to play on. 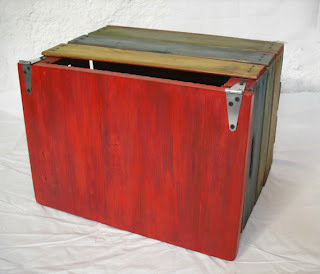 Here, some details up close: The fiery inside, the colours on the outside, the hinges, the rounded corners of the lid and how the original letters still show up underneath the tinted-aged wood. 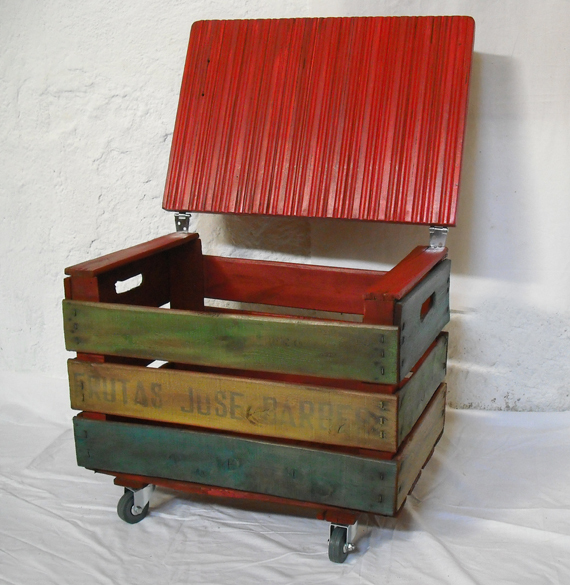 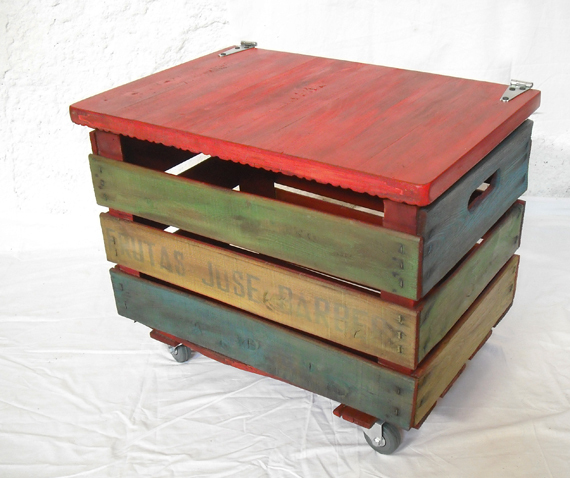 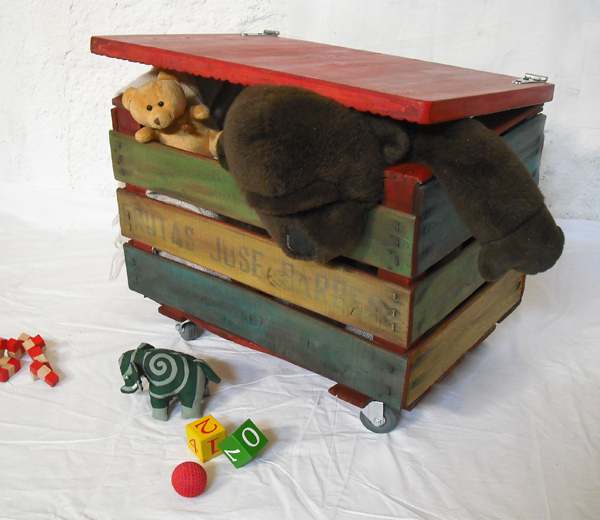 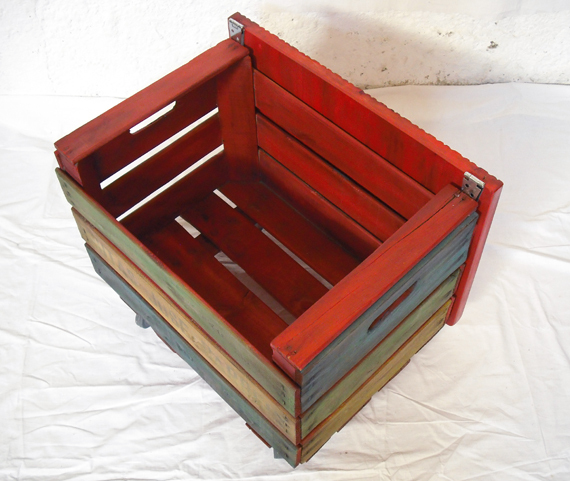 This toy box measures 52x35cm, 42cm high; is rustic and sturdy but smooth and cheerful too, and has a great storage capacity plus the surface on top can serve for sitting or as a table... all and all, a very useful piece!